The game is great but could use some variation. Maybe more clothing, body types, etc. Also, as you get further through the game, this get really expensive meaning it takes forever to save up to build new houses and stores. 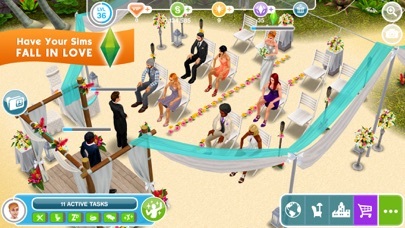 And occasionally when I try to get my sims to go to work or complete other tasks, the game ends up crashing. It’s not affecting anything but is just getting REALLY annoying. 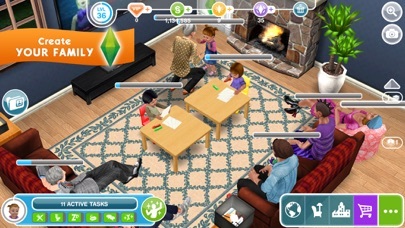 Another problem could be the fact that we can only have 10 sims in a house at once. How is that too crowded? 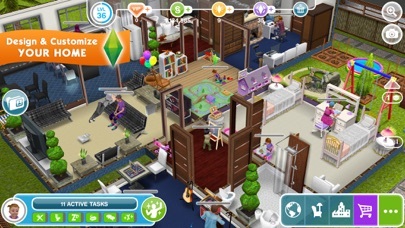 It’s sort of annoying and I wish that I could have more sims in a house. Nice update but EVERY time it tries to play a video for rewards it closes the app and I have to start over. Please fix the issues videos cause if you are going to make them randomly interrupt the game. 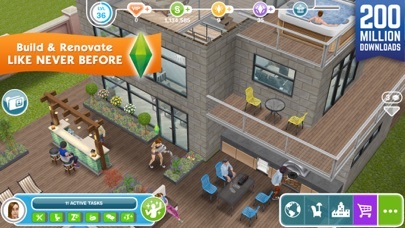 This game is very cool and creative.i love how there is so much to do and so many quests.but comping from someone who plays sims on ps4 the graphics could be better.the sims often look dirty Evan when there not.i don’t know if this is a shading promblem or what.also please add more hair styles that you don’t have to buy.thats all!thanks for giving me your time,please consider these. 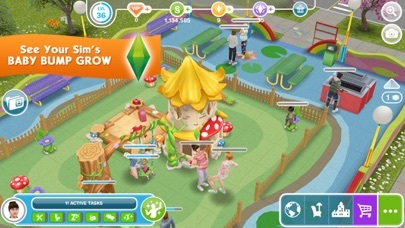 I love this game and play it often, but I can’t earn social points because I don’t have a Facebook account. There are several quests in which these would be helpful, such as the Bumpy Ride quest. I was wondering if you could make a way for us to use our contacts list or just search for our friends’ worlds instead of having to log in with Facebook. Thanks!